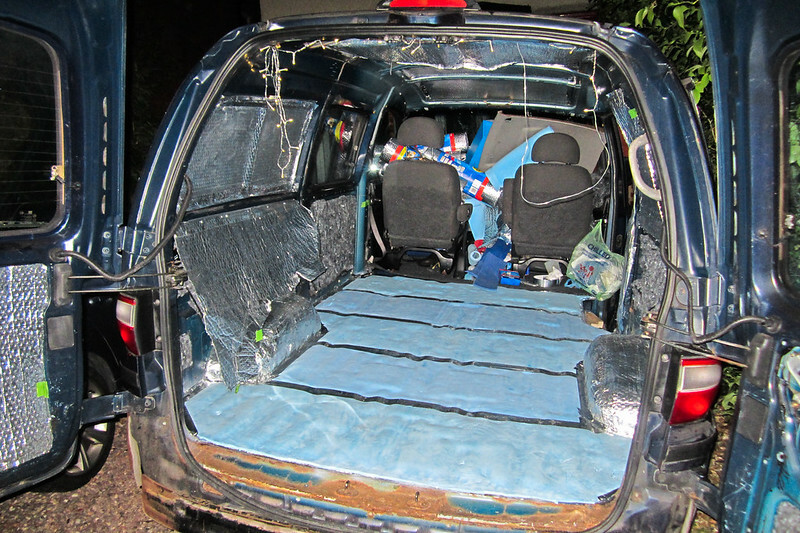 Converting our Van (Part 2) – Insulating! 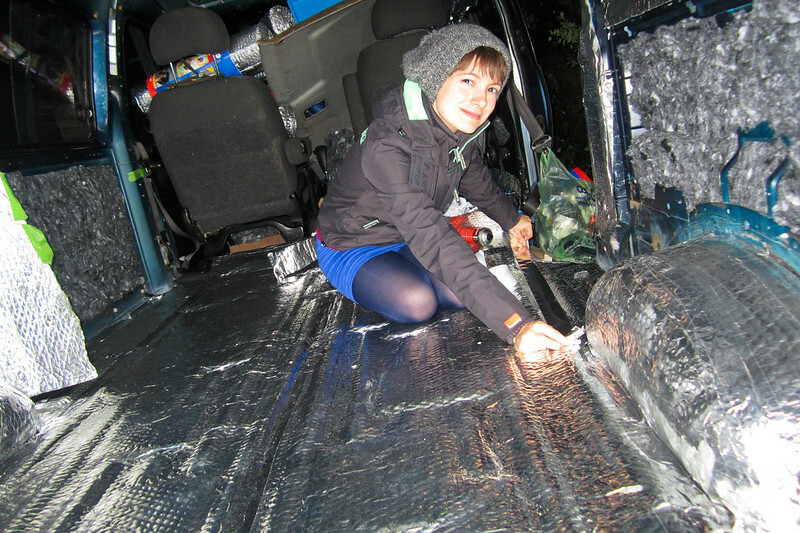 | Converting our Van (Part 2) – Insulating! 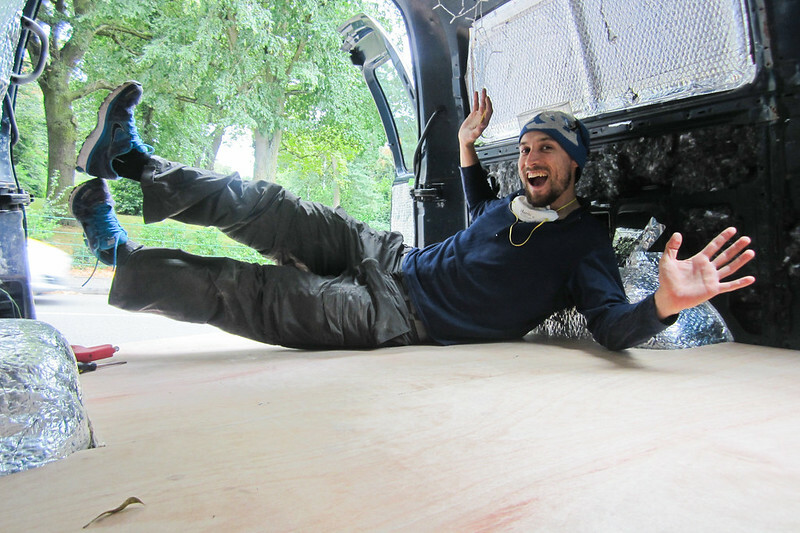 Home posts Converting our Van (Part 2) – Insulating! Converting our Van (Part 2) – Insulating! After taxing, registering, importing and insuring our van (which we’ll write a blog post about later, it’s super difficult to find companies who will insure non EU-citizens in the UK), finally, we could start thinking properly about how exactly it was that we were going to turn approximately 60 square feet into a comfortable, liveable home for the both of us, for the coming six months of travel in Europe. We’d already had to push back our leaving date, from September, and decided that instead we would spend christmas in Birmingham with family, and then leave in January, heading first to Morocco. This gave us the entirety of Autumn to draft out, design, sketch, and build. 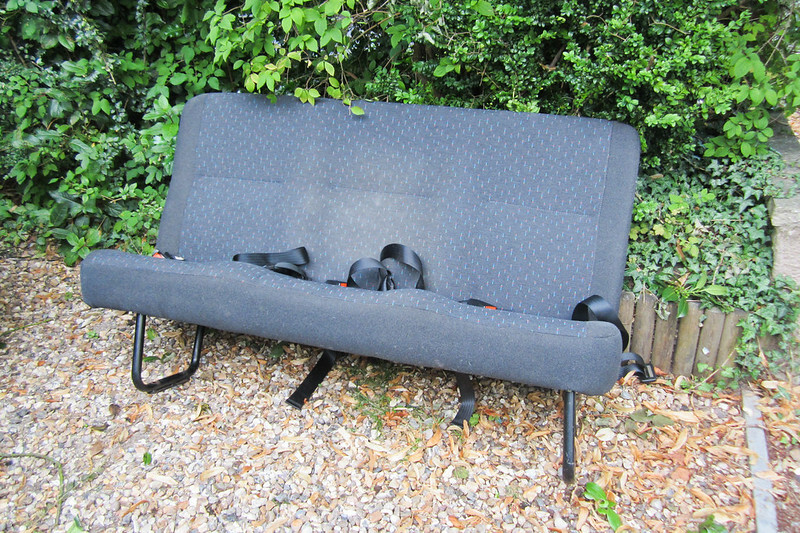 A particularly pressing issue with our van was rust, and so this would be the thing we would deal with first. We had to pass our MOT, a test that decides whether or not your vehicle is eligible to be driven on the roads in the UK. 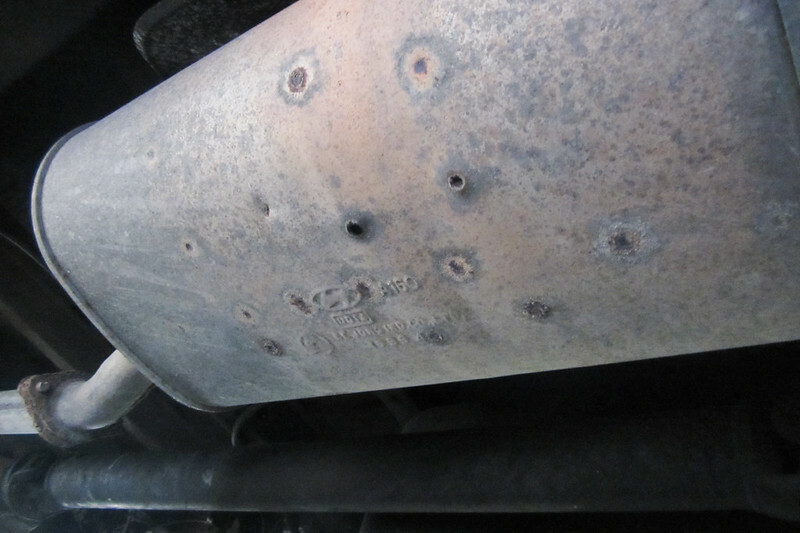 Rust on the underside of the car had meant that prior to us buying the van, it had failed it’s MOT. 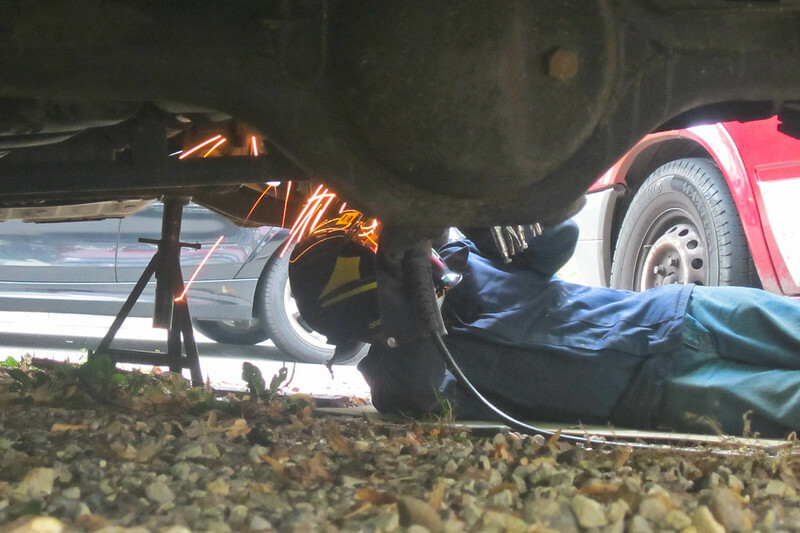 We scoured the internet looking a welder with some availability, and eventually found one – a mobile welder who would come to the house and fix up the underside of our car, for approximately £600, over the course of the next week or so. The work that he carried out was of incredible quality, and it was a stroke of luck to find such a talented welder. We also bought a new exhaust system online, on ebay. 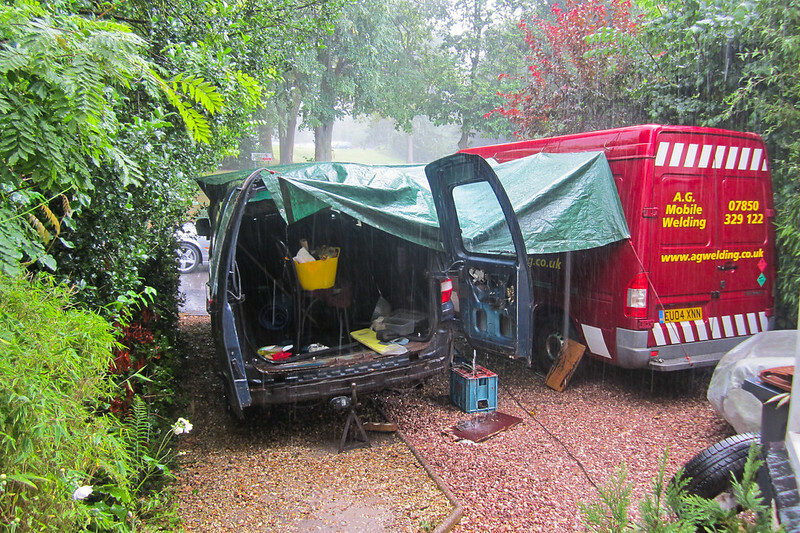 When we test drove our van, we’d noticed that diesel fumes were leaking into the car. Obviously, this isn’t ideal, particularly if you are living in your car. 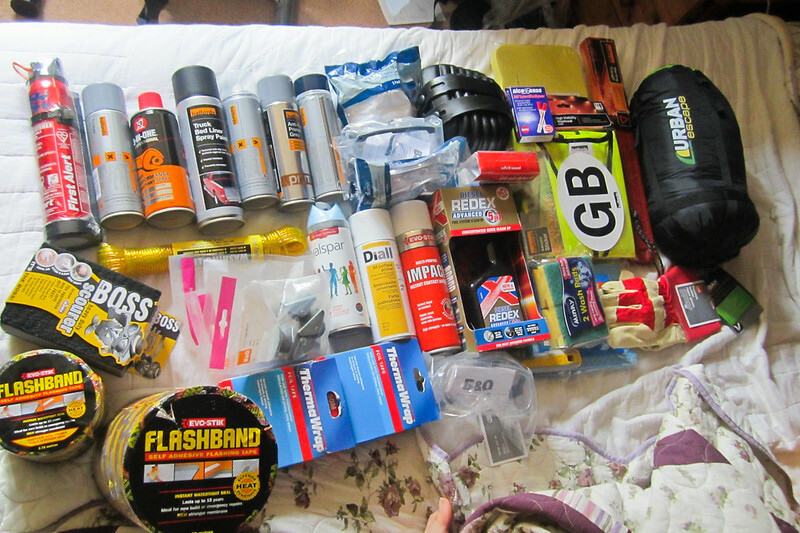 Whilst all of this was happening, we started pulling together our plan, and we went shopping! We used amazon, homebase, b&q and a local builder’s yard for sourcing the vast majority of our parts. 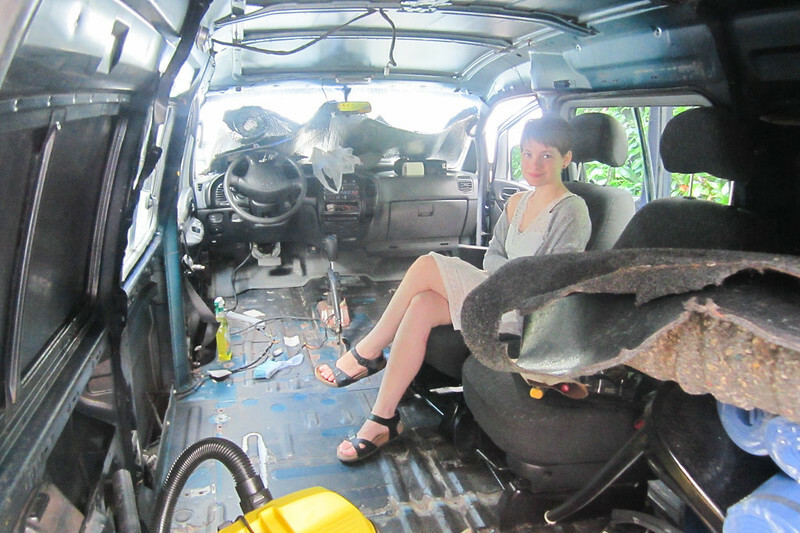 We’d begin with stripping out, and then insulating, our van. This started with us pulling out the three rear passenger seats, all of the carpetting, and a plastic partition that separated the two front seats from the rest of the vehicle. We then removed the metal and wooden floor and wall panelling – again, the rust. 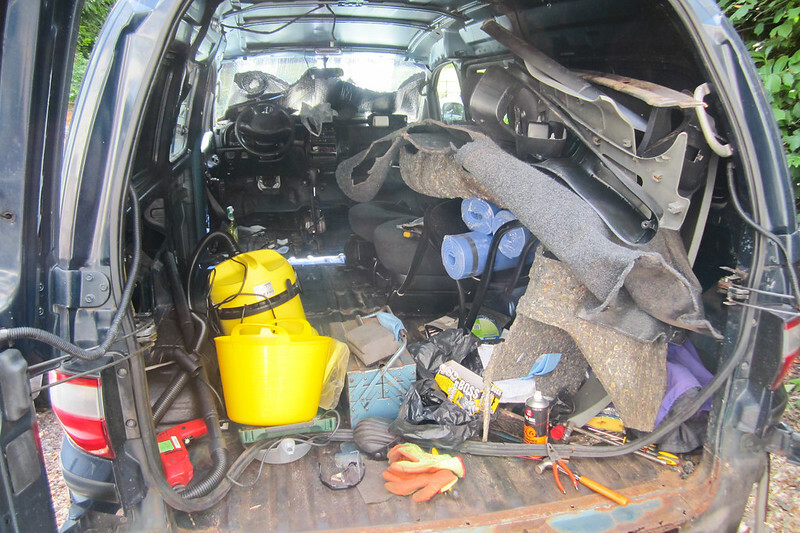 This van had previously been used as a window washing van, the interior also had issues, which we wanted to seal up, to ensure the prevention of any re-occurring problems. It proved pretty difficult to remove the floor and wall panels, as the rust issue was so bad that many of the screws holding everything together were crumbling away at a touch! 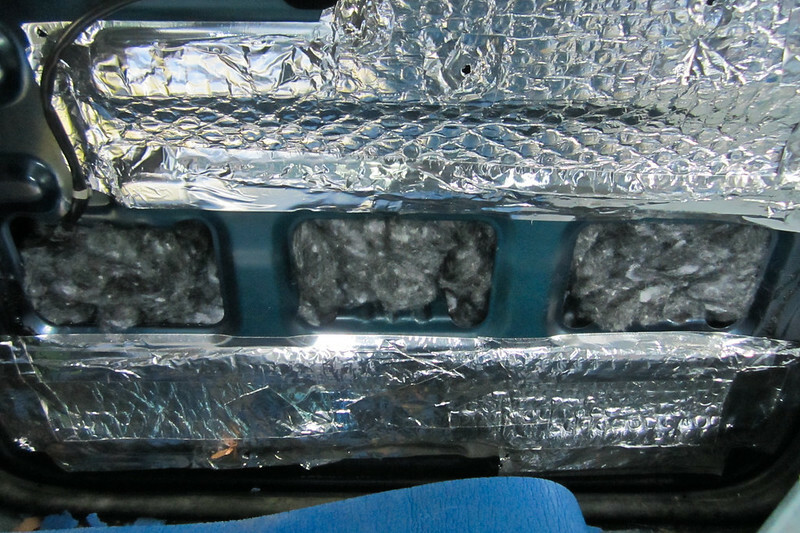 After researching numerous different methods of insulating, we chose to start with Flashband – a sound deadening sticky black tape. We stuck it to the walls of the van. 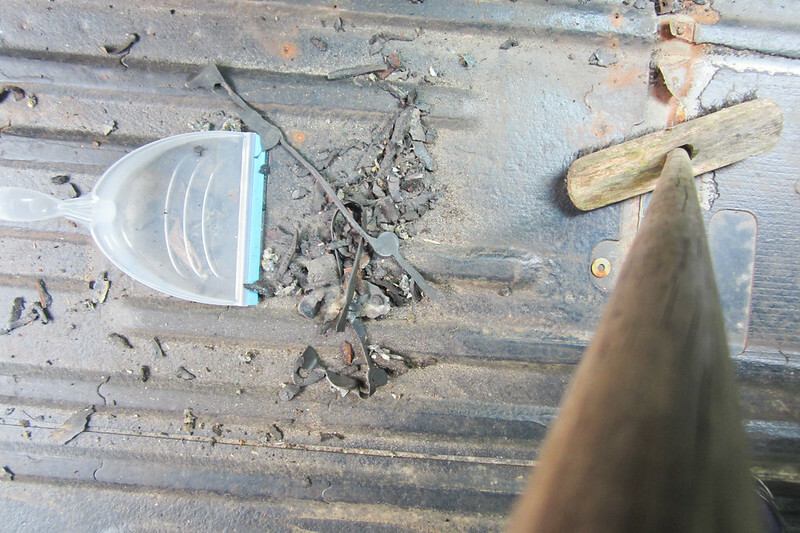 There was already a tar like substance on the vast majority of the van’s floor, and we sprayed a rust protective primer paint onto the metal that was not covered. Next, we began to tape Thermawrap , an insulating material something like bubble-wrap, to the walls. We also purchased huge rolls of recycled plastic bottle insulation, which we stuffed into the door cavities, and attached to the walls and ceiling. For the floor, we cut out yoga mats and pieces of wood to even out the strange metal shapes that rose out from the floor an inch or two – we wanted a flat surface! We then covered the floor with yet more Thermawrap, and yoga mats. 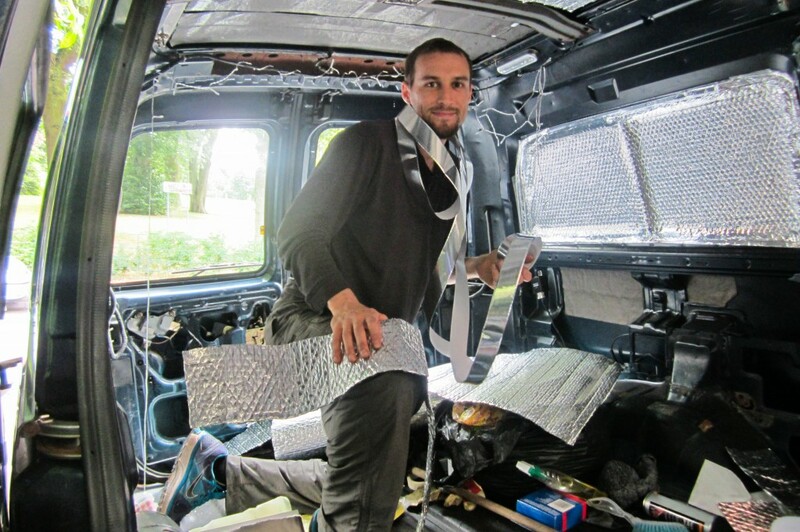 Now that the van was looking something like the silver interior of a space ship, or perhaps a satellite, with the walls, ceiling, and floor, covered in silver foil, we could add wooden panels. We glued and screwed these down, with some effort. Now we could move onwards, and start thinking about constructing some furniture, installing our electrics system, and then, eventually, decorating! 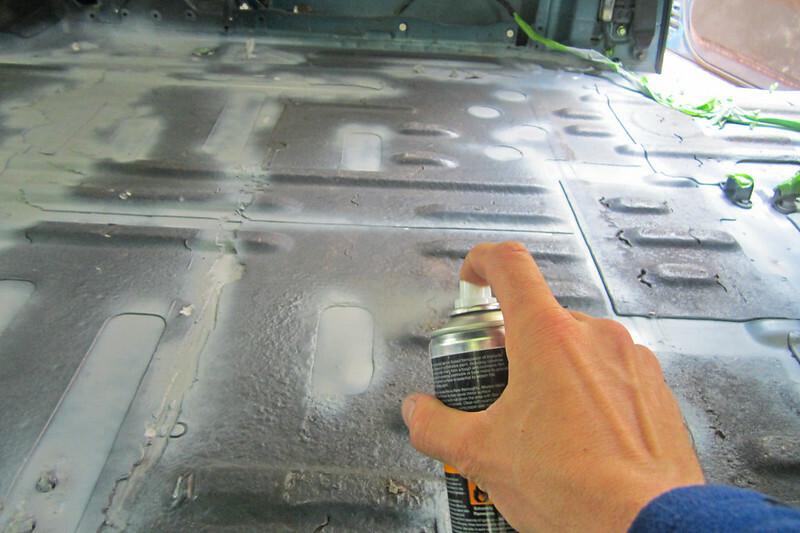 Add anti rust spray onto metal surfaces. 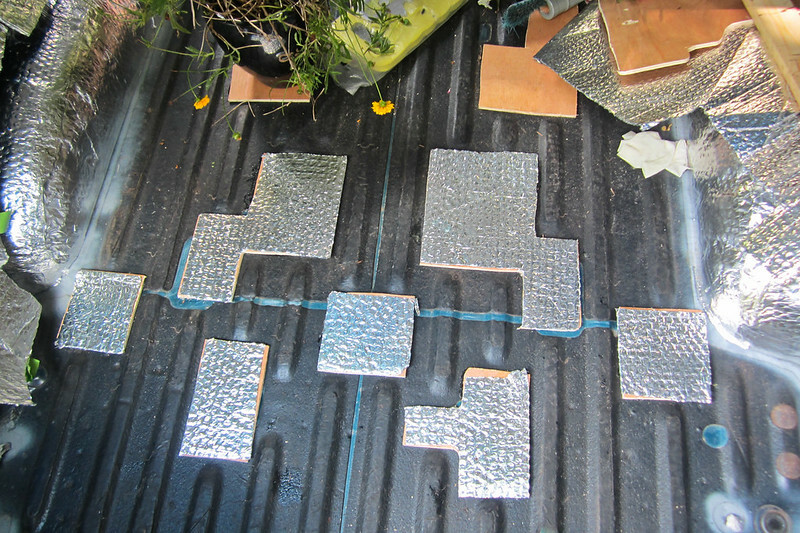 Glue custom shaped pieces of yoga mats and wood to even out surface. 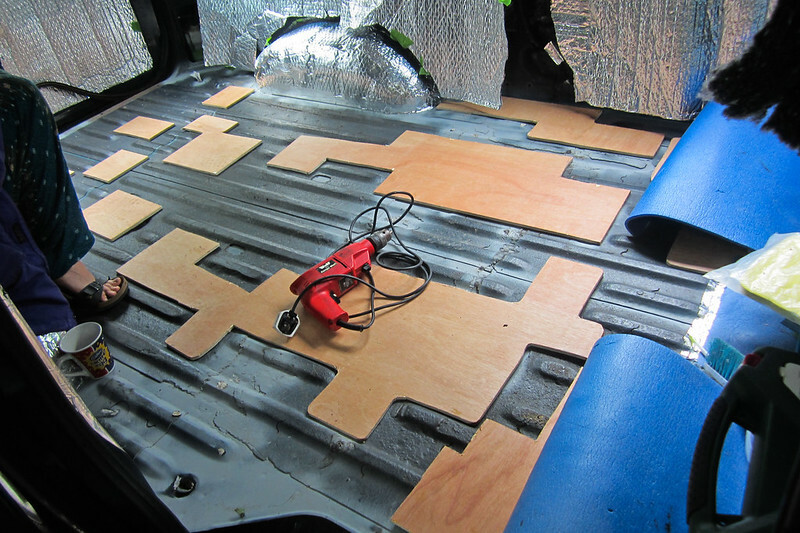 Add plywood surface – now you have a floor!! Add sticky sound deadening tape. Stuff plastic bottle insulation into wall panels and door cavities. Screw down thin 1/4 inch plywood – now you have insulated walls!! 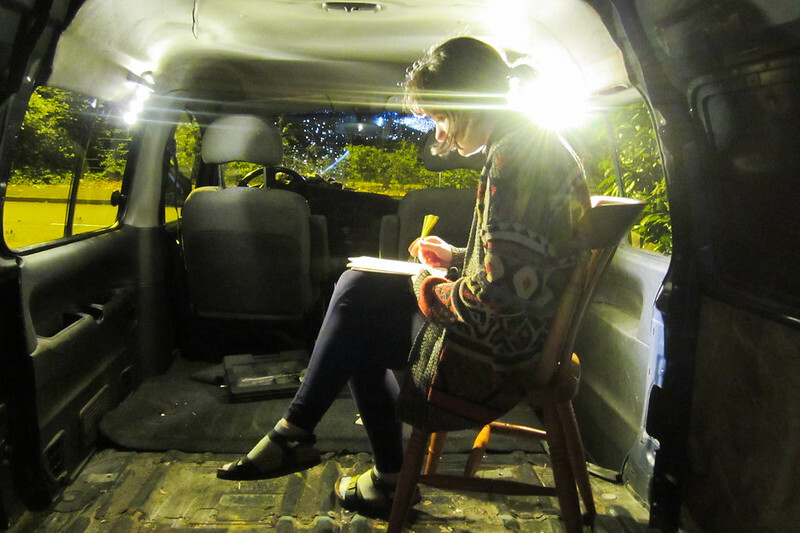 Check out our in depth vanlife flickr album here. PS: We’ve started using Amazon Affiliate links. If you click on the link it’ll help us with our continuing journey. Thanks! Thanks – ain nteresting and informative blog; love the idea that you got a mobile welder; and that one photo showed some serious rust damage..